Water is the force that sustains life and helps it usher forward with time. It is well documented that civilizations thrive and flourish on the banks of great rivers across the planet. Water still forms one of the most essential of all basic needs. It is very essential that we drink clean water which is purified using the available resources with us. Over the years the water purifying industry has seen plenty of changes with water purifiers getting more and more technologically sound. Here is another step forward in water purifying technology. While this may not be ground breaking technology, it sure is impressive as it meets all the basic requirements and more of a water purifier. Petit (CHP-06DL/ER) is a water purifier that offers a lot of features along with the basic feature of giving clean water to drink. It is a slim and stylish water purifier that supplies both cool and warm drinking water. It has wonderful design which looks quite sleek and saves plenty of space. The white and silver color of the purifier makes it look very elegant. It has indicators that show the degree of hotness or coldness of the water that one requires. It obviously provides both cold and hot water on demand and one can also control the temperature of the glass of water one needs. 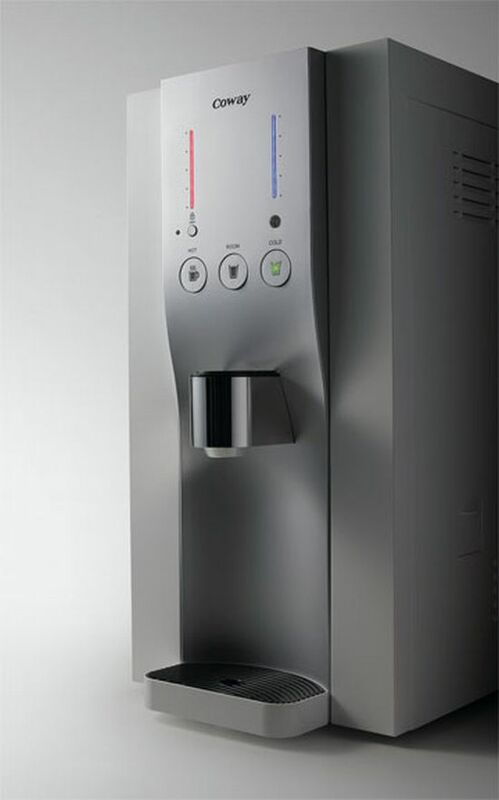 It also has one-touch feature which discharges a cup of water (120 ml) by touching a button. The touch-screen on the purifier makes it incredible easy to operate. It moreover is very efficient and reduces both noise and consumption of energy. It saves your bills, so that is reason enough to buy it, I guess. It is well worth its price tag and will make your life a lot easier and healthier.